So you are cruising right alone and then out of nowhere it happens that bill you weren't expecting or car repair you have no credit so what do you do? The thought comes to mind I can get a payday loan and that will fix that. First thing you need to do is go online and research the different lenders on internet by going to goggle.com and enter payday loan in the search box and pick a site from the list. Go to that site and look to see how their loan works, avoid sites that want to charge high fees or interest rates for their loans you can do better. Go to different sites to investigate their fees and their requirements. This is in your best interest so you can make an informed decision based on this knowledge. You then can get the most benefit for your money and not feel cheated by the lender. Loan amounts are generally small and are based on your paycheck and your ability to pay the lender back. Be sure to read all the information on the terms of the loan before agreeing to the loan. Also make sure you understand the terms stated if not there is online help and most sites have a (FAQ) Frequently Asked Questions section to help answer those questions. Once you have decided on the site you chose to get your loan from fill out the form and wait to have the funds to be deposited to your checking account. The time frame on this is can be any where from an hour to the next business day. Understanding that on your next payday the funds are due back to the lender per the loan agreement. On some payday loans site's the funds may be debited from your accounts automatically you should know this on the front end. Others will work with you to giving you more time but this comes with a price of higher fees and or higher interest rates. There maybe other fees such as taxes or additional cost for security etc. Ask for a list of additional fees that have been added to the cost of the loan. Most of the loans are from 15-30 days so it's in your best interest to pay the loan back as quickly as possible. There a few payday lenders that give you a longer period of time to pay the loan back without additional fees. Other things to think about are the customer service of the lender. Were they professional in their manner of conducting business with you? There are resources you can use to check out these businesses' such as the better business bureau for any complaints that were filled that would look unfavorable on their reputation. Knowing this will give you peace of mind should you need to use their services again? Making informed decisions about your money is always a plus. 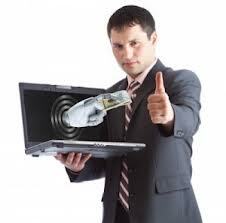 By using this information getting your payday loan should be a pleasant experience.